As the owner of Silver Connections and working with only those age 55+, I have seen my members deal with grief from the death of a spouse, serious illness, divorce, losing family members and even children, surgeries, job loss and so many other of life’s challenges. I am in awe quite often at their ability to move forward, their capacity to recover from difficulties, their toughness. The fact that they find Silver Connections and contact me and are making the effort to move forward, to engage, to laugh and enjoy life – shows their resilience and their ability to overcome serious hardship. Taking it one step at a time. A few days ago, on a cloudless, cool, perfect-for-leaf-peeping day, two friends and I decided to hike up Mount Osceola in the White Mountains of New Hampshire. For those of us who might have arthritic knees, bad attitudes, or are prone to blistering toes, the hike might be described as “pretty long and grueling,” and, in fact, that’s exactly how my husband described it to me the evening before, as I consulted with him on various trail options. Long and grueling: full disclosure. Of course– we decided to go for it. After close to two hours of going up climbing over boulders, stepping over roots, and more and more up, I was pretty sure that we were making good time and we were nearing the summit. It was noon, after all, so despite the snacks, I was thinking, “lunchtime…” and in my head I was doing a little Snoopy Suppertime dance. I was really looking forward to soggy chicken with Sriracha in a 60-calorie flax seed pita (don’t judge.) I kept noting to my friends that we must be quite close to the summit (I had done this hike before- I thought I recognized the terrain) and before we knew it, we’d be resting comfortably in the sun, having lunch and a sparkling water on sun warmed piece of granite, overlooking the most magnificent mountains. We proceeded on. Up, and more up. Step by step. And you know what? We made it up that mountain without a problem. And we made it down, again, step by step, just a little slower. We didn’t think of calling it quits. We barely rested. We didn’t complain. We just did what we had to do. We finally got down from the mountain, and I turned on the car to go home, to an eerie silence. The car battery had died. We got it jumped. Later, it died again. And we got it jumped again. And while I don’t like to drive in the dark (statements that immediately age you), I drove home in the dark. And it occurred to me when I was home in bed, that there really wasn’t any part of the day that fazed any of us. Not even a little. We took the hike in stride (pun intended), the soggy chicken sandwich and lack of dessert (grapes are not dessert- what were we thinking?) in stride, the blisters in stride, the dead car battery in stride. We are—all three of us— strong, resilient women who can pretty much deal with anything. Why? Because all of us, well into our 50’s, have had a lot to deal with. Some might say it’s just doing what you have to do. I call it resilience, and I think it is the one quality you must have in your 50’s and beyond, because while it is often better after 50 , it sure isn’t perfect. Not even close. Resilience is getting back to living your own life to the fullest after the death of a loved one. Resilience is finding peace with life’s greatest disappointments. Resilience is bouncing back after you lose your job. Resilience is finding the energy to move from a home that you love. Resilience is giving your body the physical and mental time to recover after surgery. Resilience is finding your life again after cancer treatments. Resilience is the ability to say, “this too shall pass,” and to actually believe it. Sure, stuff happens at every age. At any age you may lose a job, a parent, a limb, a spouse or god forbid a child…it’s just that at 50 and older, you can be absolutely sure that quite a bit of it is going to happen in that decade, or just beyond– to you, or to someone you love. You can pretty much count on it. Without resilience, you’re screwed. But with it, life can be better– as long as you make the climb up and the climb down–step, by step, by step. And try to remember dessert. In the Nov. 23 issue of Proceedings of the National Academy of Sciences, a team of researchers — including University of Chicago psychologist and leading loneliness expert John Cacioppo — published a study showing loneliness actually triggers cellular changes that cause illness. Building on previous research by the same team, the new study offers an in-depth look at how this fight-or-flight stress signaling creates a snowball effect that ultimately alters the production of white blood cells. As we all know, white blood cells are the good guys who fight off infection. However, an inappropriate inflammatory response (aka a non-reciprocated influx of white blood cell activity) can actually do more harm than good if not regulated. This phenonamin leaves lonely individuals more vulnerable to infection due to dampened antiviral response, and also more susceptible to chronic disease thanks to the inappropriate inflammation. Some of these potential health consequences include heart disease and stroke, increased stress levels, decreased memory and learning, alcoholism, and altered brain function. Because loneliness disrupts the regulation of cellular processes in the body, says Cacioppo, it also predisposes those suffering from it to premature aging. Of course, it’s important to point out there is a distinction between being lonely and simply being alone. Loneliness isn’t merely the state of being alone. In other words, when you feel completely disconnected from everyone, even if you are surrounding by friends and family, this can be loneliness. Loneliness is a state of mind. Nearly all of us will experience periods of loneliness in our lives, but if it continues beyond a small amount of time, here are a few tips for actively guarding against it and overcoming it. Especially for people who are lonely, reaching out of the sphere of isolation to make contact with other human beings might seem pointless. But while withdrawing into yourself is tempting, the healthiest thing you can do when you are sad or feeling alone is to cultivate connections with other people. Even our deepest feelings are likely shared by others. It makes sense, right? We’re all in this together, just trying not to lose our grip as this great big world keeps spinning faster. So the very act of reaching out may lead you to a connection or commonality that will make you feel less alone. Or, you could create a shared experience. Take a vested interest in what someone else is doing and enjoy doing it with them. There’s a reason they say it is better to give than to receive — few things in life feel more rewarding than doing something good for someone else. If you find yourself dwelling on how alone you are and how hopeless you feel, turn your attention to the needs and feelings of someone else. It’s easy to fall into the wormhole of despair when you have nothing else to do. It kind of falls under that whole “idle hands are the devil’s tools” idiom — a full agenda can keep you out of trouble in more ways than one. So take the leap if you’ve been toying with taking Zumba classes or learning another language. After all, studies show that people who are the happiest, are busy. When other people invite you to dinner, go. When you have made plans with someone, make an effort to show up. You might be surprised by how much you enjoy it and you might make connections in the process who’ll understand what you’re going through. While loneliness feels awful and can be harmful to your body, it can also benefit us. Scientists believe that aversion to loneliness evolved as a signal to tell us that our connections are broken or under threat, thereby motivating us to maintain or repair them. Thus loneliness helps promote healthy relationships with those around us, in the same way that thirst ensures we drink enough water. And even though it hurts at the time, science has shown that for most people, loneliness goes away fairly quickly, replaced by positive feelings when we reach out and connect with others. Persistent feelings of loneliness can be damaging, but the more we learn about how and why we feel the way we do, the better equipped we are to prevent or treat loneliness to become our happiest, healthiest selves. Previous studies have found that aging adults live longer if they have more social connections. A new study builds on that research – demonstrating how social relationships reduce the risk of poor health at each stage of life. The size of a person’s social network is important for health in early as well as late adulthood. Social integration in adolescence was found to protect against obesity. Researchers found body mass index (BMI) and waist circumference were higher among those with lower levels of social integration during adolescence. 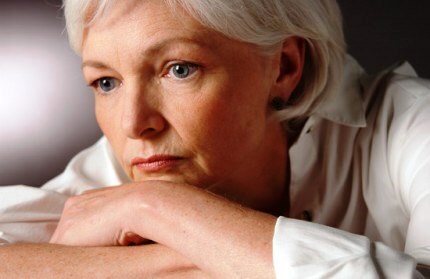 And, in older age, social isolation can exacerbate a host of health problems, they said. But, in middle adulthood, the number of social connections do not appear to matter as much as the level of support or strain they provide. The scientists assessed data from four surveys of the US population that, collectively, covered the lifespan from adolescence to older age. One of the four studies examined found that having a strong social base earlier in life led to a 54 per cent reduction in the chances of developing hypertension later. Dr Yang Claire Yang, of UNC, CPC and the Lineberger Comprehensive Cancer Center said: ‘We studied the interplay between social relationships, behavioral factors and physiological dysregulation that, over time, lead to chronic diseases of aging – cancer being a prominent example.” Feeling lonely can ‘vastly elevate’ a person’s risk of heart disease, stroke and cancer, scientists warn. All of us have experienced the wonderful joy that life can bring, but also times of sorrow that is also a part of living. Read a favorite story below and think about when life offers you heartache and sadness, how do you handle this adversity? A young woman went to her grandmother and told her about her life and how things were so hard for her – everything seemed to be falling to pieces. The simple act of waking up in the morning had become a near impossible feat. She did not know how she was going to make it and wanted to give up. She was tired of fighting and struggling. It seemed as soon as one problem was solved, a new one arose. Which are you?” she asked her granddaughter. “When adversity knocks on your door, how do you respond? 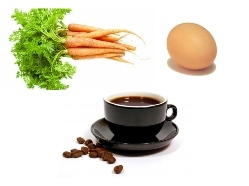 Are you a carrot, an egg or a coffee bean? This is an article written by Elaine Ambrose and I wanted to share it with you. Life is full of happy times, challenging situations and change is always inevitable. I believe that a positive attitude makes all the difference, no matter what age or circumstance surrounds us. Hope you enjoy and may this be, right now, the best time of your life! During the week, July 20, 1969, I was a counselor at a camp in the Sawtooth Mountains of Idaho. That’s the day American astronaut Neil Armstrong became the first human to walk on the surface of the moon. We loaded the young campers into buses and drove them to a parking lot in the remote mountain town of Ketchum. A small black-and-white TV was hooked up in the parking lot with the power cord strung inside a grocery store. We huddled around to watch history being made 240,000 miles from earth. Even the most rambunctious pre-teen became speechless while watching the grainy transmission. “This is the best time of your life,” I told them. Four years later, I graduated from college, earned my first full-time job, and got married. Then I knew it was the best time of my life. As the years passed, there were other milestones: a new house, a new baby, a new job. Then more houses, another baby, and more jobs. Then I received a contract to write a book. Could it get any better? Of course, there were painful times, too. A divorce. The loss of a job. The deaths of my parents. I lost friends. I was badly injured in a car wreck. Those were the days I doubted if there would be good times again. When dark clouds hid the stars and moon, I had nothing to wish upon, and I almost lost hope. But another day brought adventure and happiness. The kids grew up, were happily married, and had wonderful children. I discovered a wonderful world of new women friends. Surely, then was the best time of my life. I recently returned from a trip to New York. I received a writing award and was on stage in front of thousands of conference attendees. The same day of the award, I met with a New York literary agent who offered to represent me with my next book. I know for the next few months I’ll be writing into the wee hours, and I’ll pause to gaze at the moon with the same wonder and amazement that I felt 46 years ago. Now is the best time of my life. This day. And, tomorrow could be even better, so I am willing to anticipate that happening. I’m 63-years-old, and I’m not done. There are grandkids to hug, books to write, adventures to take, friends to spend time with and charities that need my time and resources. But right here, right now, it’s the best ever. Someday, when I’m older and grayer, I’ll rock by moonlight and knit magical sweaters from moonbeams. 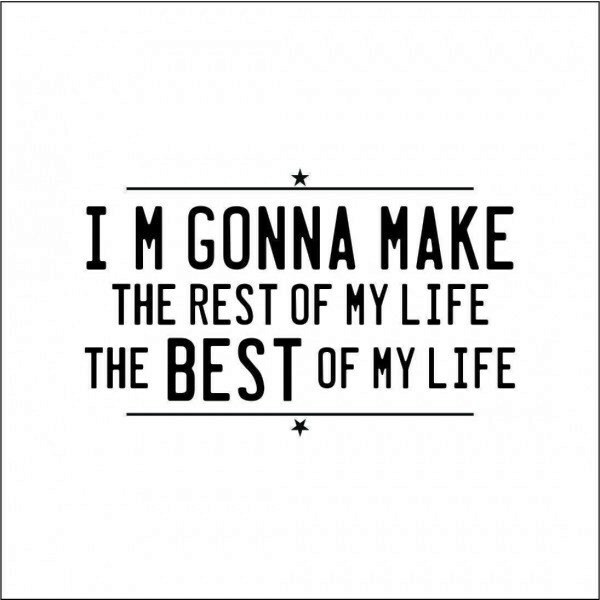 Then, for sure, it will be the best time of my life. For the first year after her husband Mort died of cancer, Mary Childs, now 68, looked mainly to her two sisters and her quilting friends for comfort and a social connection. ”I couldn’t do much more than that,” says the Lakewood, CO, retired nurse. ”On the one occasion that I attended a couples’ function with friends from our past, I was totally uncomfortable.” Indeed, many people who lose a spouse often feel like when it comes to socializing, it’s a couples’ world. Lots of people who lose their husband or wife feel like it’s easier to be alone and not deal with the anxiety and other pressures associated with being social. But humans are wired to be social creatures. Our well-being is based largely on interactions with others. (The amount and kind of interaction varies, but the need is inherent.) To avoid connections is to invite depression. Not surprisingly, a study at Michigan State University discovered that people 65 and older who used the Internet to stay in touch with friends had a more than 30 percent reduction rate of depression symptoms. In other words, no matter the age, people need people. In person, on the phone, via the Internet, whatever. There’s no magic answer to this question. For those who maintained a social life based on interests and not just couples’ friends, the journey is a bit easier. Likewise for those whose partner’s death was not unexpected. Four years ago, Barbra Cook, now 62, lost her husband of 36 years after his 10-year-battle with early onset Alzheimer’s. “Several of our couples’ friends drifted away during Morris’ illness,” she says, “but I was determined to both sustain and build a life for myself after he died.” During his illness, she continued folk dancing, a lifelong passion she and Morris never shared. Today, she enjoys both salsa and tango. For others, the journey may start a year or more after the loss. According to Doreen Horan, LCPC, at the Counseling Center at Stella Maris, an average a man starts socializing within one to two years of a wife’s death. For women, the average wait is two to five years. What all grief counselors agree on is that at some point, every widow and widower needs to get out there if life is to be meaningful once again. Revisit these steps periodically to figure out what you want to add or take away. Join a health club and take a class. 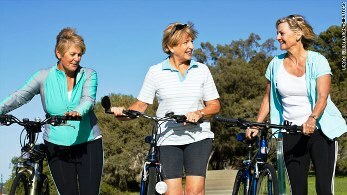 Besides getting in shape, you’ll meet other people who like the same exercise as you. Throw a party. We’re not talking intimate get-together, but a Super Bowl or election party that doesn’t rely on twosomes for success. Volunteer – volunteers are always needed and welcomed at organizations like hospitals, school, fundraisers, etc. Join a group or organization that caters to your demographic with people who share your circumstances. Rebuilding your social life after loss is about personal growth. This does not mean that you are forgetting or ignoring the impact of your loss, but you still are who you were—and you can choose, moving forward, how you want to live in order to be your best and happiest self.